This chapter will review the clinical and histopathologic features associated with the presentation and diagnosis of retinoblastoma. A thorough appreciation of the differential and a detailed clinical assessments is the cornerstone of arriving at the proper diagnosis. 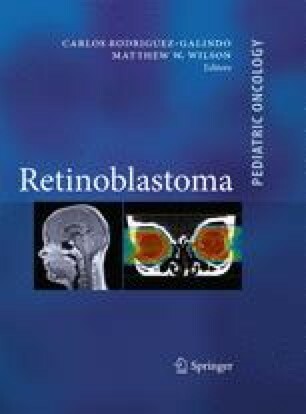 Unlike most cancers, retinoblastoma is unique, as tissue is generally not necessary for diagnostic and treatment purposes. However, once the eye is enucleated, the histopathologic features guide therapy and prognosis. We will review ancillary testing that can assist the clinician and address pathologic features that can affect patient prognosis.